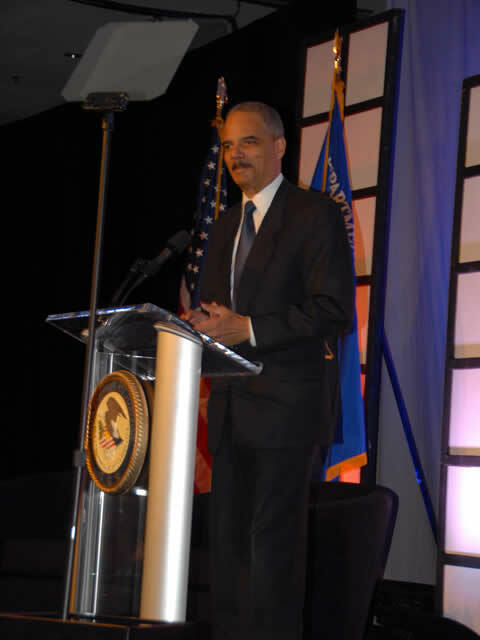 The Justice Department is fighting back attempts by defense attorneys to muzzle Attorney Gen. Eric Holder Jr. and other government workers when it comes to pre-trial comments in the terrorism case involving a teen who tried to detonate a bomb in Portland during a Christmas tree lighting ceremony in December. It ended up being an FBI sting. Holder publicly defended the sting and subsequently the defense for Mohamed Osman Mohamud filed a motion to try and prevent pretrial comments, alleging that remarks could taint the case. “It is clear that the Attorney General’s remarks struck a proper balance between defendant’s due process rights and the need to inform the public on law enforcement actions. “The need to inform the public was especially true with respect to sting operations, which although not new have garnered a lot of publicity in the context of this case and others like it. “Based on the statements described above, defendant now seeks an Order from this Court prohibiting the Attorney General from making “inappropriate pretrial comments.” Defendant’s argument is predicated on the assumption that the Attorney General’s comments were, in fact, somehow inappropriate. They were not. Posted: 1/12/11 at 9:27 AM under FBI, News Story.